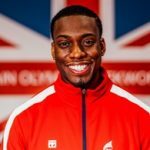 Watch Damon in his Semi-Final at the 2017 World Championships. Former kickboxing champion, Damon Sansum has gone from strength to strength since his switch to Taekwondo in 2010. 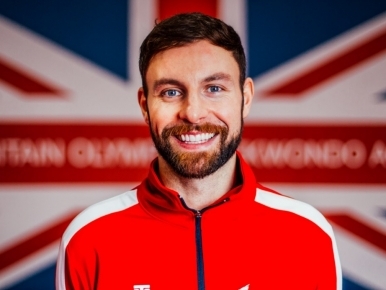 Proving he has the ability to achieve all, Damon has consistently medalled on the Open’s circuit and in 2015 became the 3rd British male to win a silver medal at the World Championships in 2015. 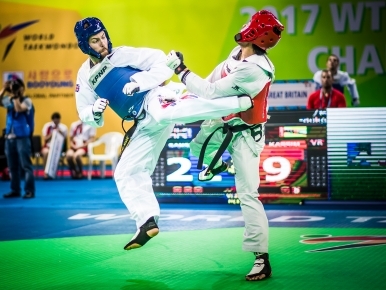 More recently, he gained a bronze at the World Championships in 2017. I was a kickboxer from the age of 11. But I also swam in local galas and won a North of Scotland bronze medal for shot putt when I was about 12. 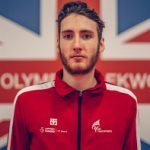 I started WTF style taekwondo a couple of years ago and I come from a kickboxing background but as taekwondo provides the only chance to represent your country at a kicking martial art, I took part in the 'Fighting Chance' talent programme and was lucky enough to get selected to join the Academy in Manchester. Overall goal is to win gold at the Olympics. Got to be my dad, Lee, who has a background in kickboxing and karate. He is still a British kickboxing coach. He was in the military police and also a bodyguard to a lot of celebrities and VIP's. Since the rule changes there is a lot more scope to see head kicks and knockouts. So plenty of excitement. Firstly, take my girlfriend on a skiing holiday. But I'd like to open a chain of martial arts academies, similar to what we have in Manchester but more for the public. I've got a business and sport degree at Nottingham University so I'd probably also invest in property. I play lead guitar and I'm thinking of writing my own songs, Princess Diana was also one of the people my dad used to act as bodyguard for.